The resort sustained damage during the 2017 Hurricane season and is expected to be closed for repairs and renovations through 2018. 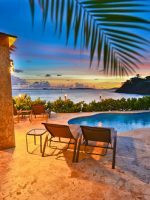 Caneel Bay is a unique property. 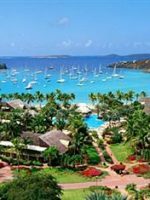 Its 170 acres make the resort the largest on St. John as well as one of the largest in the U.S. Virgin Islands. Big, however, doesn’t mean bustling. 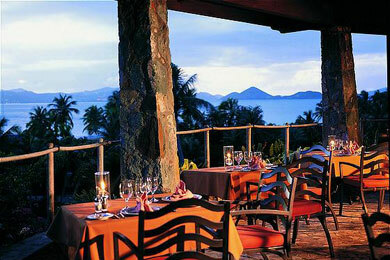 The 166-room resort is located within and surrounded by the U.S. Virgin Islands National Park. That creates a sense of space and tranquility. Signs remind you not to feed the donkeys roaming the land, descendents of those brought to work the sugar mills. Caneel Bay actually predates the national park. Laurance Rockefeller first came to the island in 1952 on a sailing trip. Enamored with St. John, Rockefeller worked to develop the roads, power and other infrastructure necessary for a hotel. Caneel Bay opened in 1956 as a simple getaway, albeit one that attracted yachters and other wealthy friends of the Rockefellers. 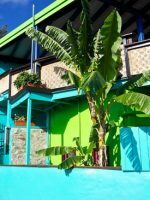 Guests came to savor the island’s natural beauty, staying in the comfortable but basic cottages. To preserve St. John’s natural landscape, Rockefeller purchased an additional 5,000 acres and donated the property to the federal government, which eventually established the U.S.V.I. National Park. Caneel Bay has stayed true to Rockefeller’s vision. To maintain Rockefeller’s sense of retreat, rooms at Caneel Bay do not come with telephone or televisions. The rooms are far from what you would expect at a luxury property. Adhering to Rockefeller's concept of the property as a retreat, the rooms do not have telephones or televisions. 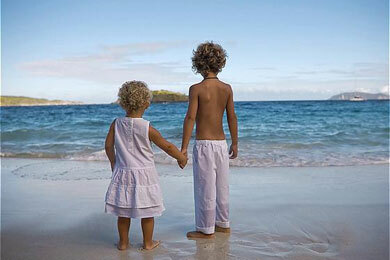 But in a concession to 21st-century demands, Caneel Bay provides complimentary Wi-Fi access in rooms. What's hard for us to understand is why Rosewood keeps the decor of Caneel Bay's rooms stuck in a 1970s mode of lime green cushioned couches, louvered glass windows, brown or beige floral or patterned drapes and wood paneling on some walls. To us, the rooms, although clean and comfortable, look dated and dowdy. We're told that Caneel Bay's frequent visitors do not want anything to change (except the Wi-Fi) and that includes the decor. All of the resort's 166 rooms are air-conditioned and come with stocked mini-fridges, safes, bathrobes, slippers, hairdryers and ironing boards. We spent our anniversary here, it was a dream trip. There were several different beaches to explore. The crystal clear water held fantastic coral reefs and fish. The seafood buffet was delicious. We enjoyed an open air truck tour of the island. Hiking trails led into the small town nearby, we enjoyed seeing the cactus and tropical plants. We would love to go back to Caneel Bay one day! The most magical place on Earth!!! There is nothing to say except that this resort is everything that other resorts should ascribe to be like. Five stars across the board. Everything is first class, especially the people!! The beaches are beyond beautiful, the food is amazing, and the staff is incredibly helpful and kind. Cannot wait for our next return! One of the special things about being first is that you get to choose the best location. 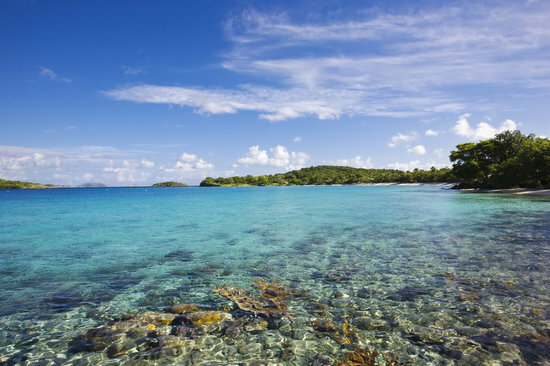 Caneel Bay's spread features seven beaches. The longest, Scott's Beach, stretches about a quarter-mile; however, Scott's Beach as well as Paradise Beach restrict users to adults. For sand and surf families should head to Honeymoon, Little Caneel and Caneel beaches. Turtle Bay and Hawksbill, both good snorkeling beaches, attract nesting turtles in season. Complimentary activities at the resort include the use of Sunfish sailboats, kayaks, windsurfers and snorkeling gear. Once a week or so, the resort shows family oriented movies for free. There are also scuba clinics, tennis clinics and lessons, plus a small fitness center for adults and a pool. Caneel Bay's four sailboats are available for half-day, full-day and sunset cruises or fishing trips. A favorite family trip, of course, is to explore the Virgin Islands National Park. Highlights include the underwater snorkeling trail at Trunk Bay, still nice even though the coral is not what it used to be as a result of so many visitors as well as storms, and the Reef Bay trail. Sign-up in advance for a ranger led hike downhill through the forest to the beach. 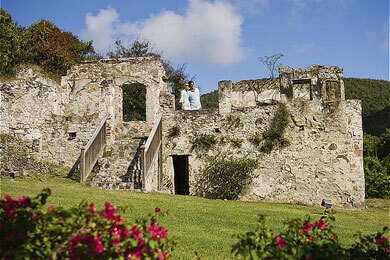 Be sure to visit the ruins of the former sugar mill. The concierge at the resort can help you book additional trips, including day sails to lesser-known, vibrant reefs for snorkeling and to out-of-the-way beaches for picnics. Turtle Town, the children's center, operates programs for potty-trained children ages 3 to 11, Monday through Saturday, from 9 a.m. to 4 p.m. Evening dinner and movie sessions are available Monday through Saturday from 6:30 p.m. through 9:30 p.m. With prior registration, the resort will operate a Sunday program. Lunch and dinner can be provided for a fee. Located in the quieter Turtle Bay section of the resort, the children's facility is a good-sized, air-conditioned room with a wall of windows overlooking the greenery. Kids do not go swimming. They do go on nature walks and treasure hunts, listen to stories and create crafts. The children are not generally divided into different age groups unless there are many participants. Because of the lack of swimming and the types of activities, we think the children's program works best for ages three to eight. Older children, of course, are welcome and may very well be interested in a particular activity. 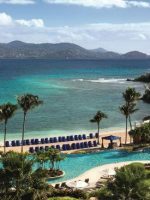 Caneel Bay also sponsors an artist-in-residence program. On select days, adults and well-behaved teens can sign-on for watercolor, pastel or other hands-on creative sessions. Typically, one day a week, the artist offers a special class geared to children. Additional fees apply. Caneel Bay has six dining options for families and also offers meal plans, which are great for families, as they include breakfast, lunch and/or dinner (or any combination of the three meals) for one set price during your stay. Children between 5 and 11 years are also half the price of adults for the meal plans. Children 4 and under are free with parents who purchase the meal plan. Cannella Beach Hut, located on Honeymoon Beach, is a great spot to grab a snack without having to leave the beach. The Caneel Beach Grill serves kid favorites such as burgers, sandwiches and salads. Adults and children over eight years of age are welcome at the breakfast and lunch buffets served at the Turtle Bay Estate House, a restored 18th-century plantation house. With seating for up to 10 for private diners, the Wine Room offers a seven-course menu paired with wines from Caneel's collection. Zozo's serves terrific Italian food. Try the pistachio encrusted mahi-mahi, as well as the osso buco. The restaurant, which doesn't offer a kids' menu, will create a kid-sized pasta. Enjoy coffee in the morning and gelato on hot afternoons at this little cafe shop at the resort. Located on Scott Beach, this hut offers a grill and sushi menu. Rooms come with a welcome bottle of rum. The children's program is complimentary. Caneel Companions (babysitters) are available during the day and the evening for children too young for Turtle Town (fees may apply). 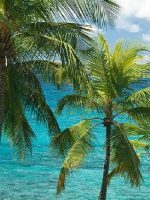 Like many Caribbean resorts, Caneel Bay's high season runs from mid-December to mid-April; low season, from mid-June to mid-November; and shoulder season from mid-April to mid-June and mid-November to mid-December. You are likely to find the most families with young children visiting during Christmas and New Year's. Caneel Bay operates its own ferry service from St. Thomas. You check-in at the resort's lounge in the St. Thomas airport's baggage area. Once you identify your bags, staff take them on the ferry and to your room. 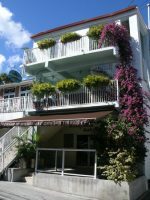 From the airport you are driven to downtown Charlotte Amalie to board the resort's ferry for the 35-minute ride to the resort. Note: Sometimes the water can be choppy so children and adults prone to seasickness should take doctor recommended precautions. Car rentals and taxi services are easily available at the resort, if you wish to explore the island. Although the resort lacks a spa, for adults, the Self Centre, offers an interesting program of yoga, meditation, stretching and other "healing" exercises. Two beaches are reserved for adults only.